If you want a work of art - adopt Fairy Princess Pansy! 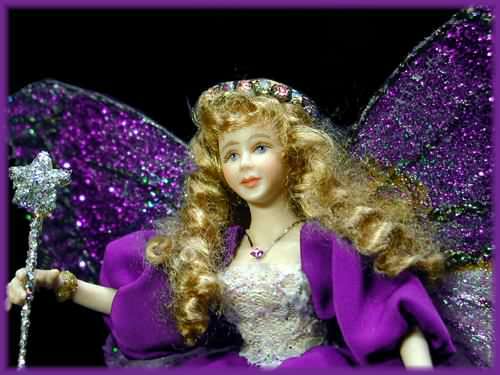 She is attired in a gorgeous silky purple dress with a lavender lace bodice. 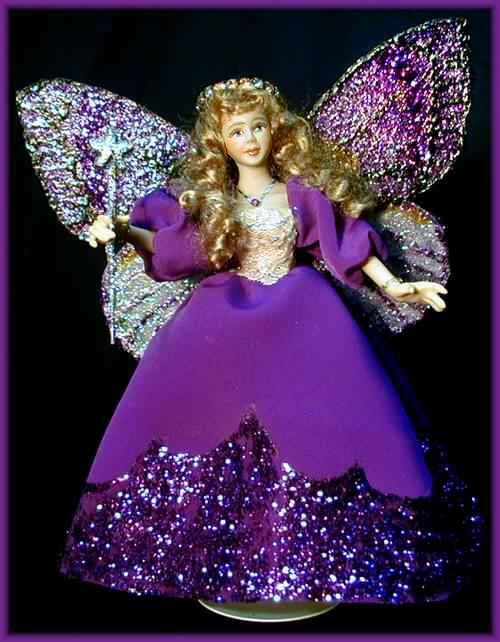 The purple glitter shines like purple sequins at the base of her gown. She wears delicate fairy jewelry and a wearable pink cubic zirconia fashion ring as her crown. She proudly carries her starry wand. 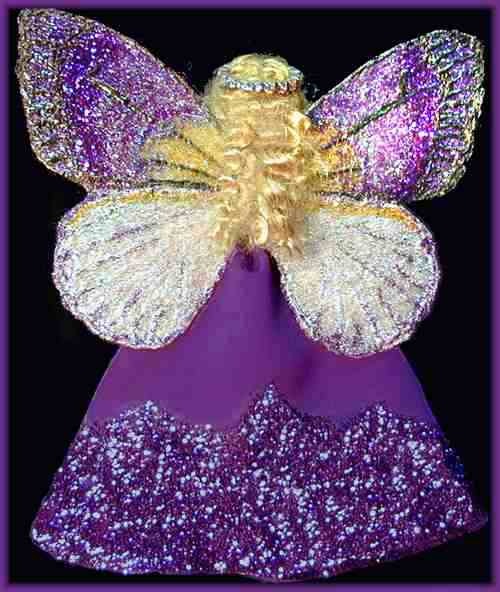 Now the wings... all hand-made, hand-decorated and painted in pansy colors! What a regal princess! Fairy Princess Pansy is approx. 6" tall and has a wingspan of 5". Like all JoAnnJ creations, she is a one-of-a-kind work of art and is signed by the artist. She comes with a signed certificate of authenticity.